Hello there! I'm sorry for my absence yesterday. It has been a busy week, but amazing week! 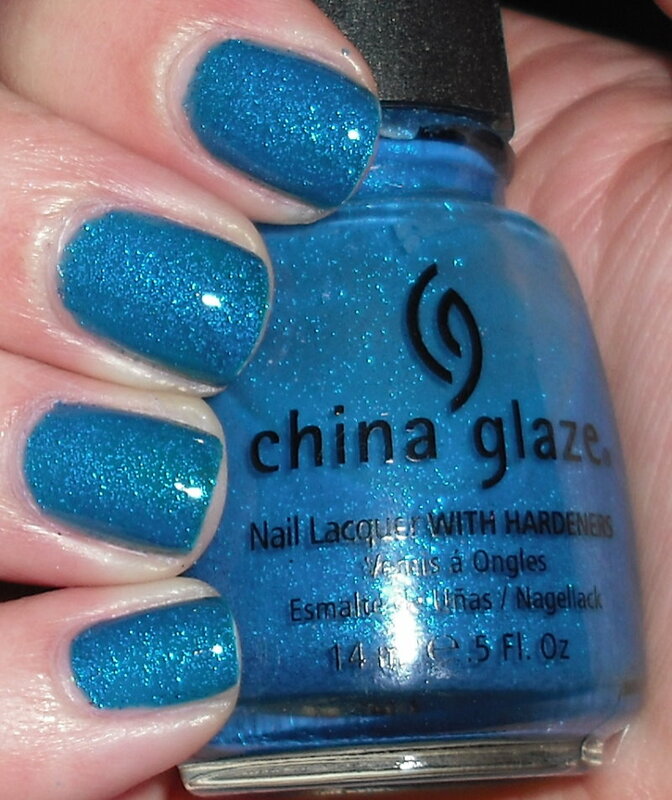 Today, I have for you China Glaze Blue Sparrow. This came out in the summer 2008 INK collection. I'm pretty sure this was one of my first China Glaze nail polishes, along with Flying Dragon and Ruby Pumps! 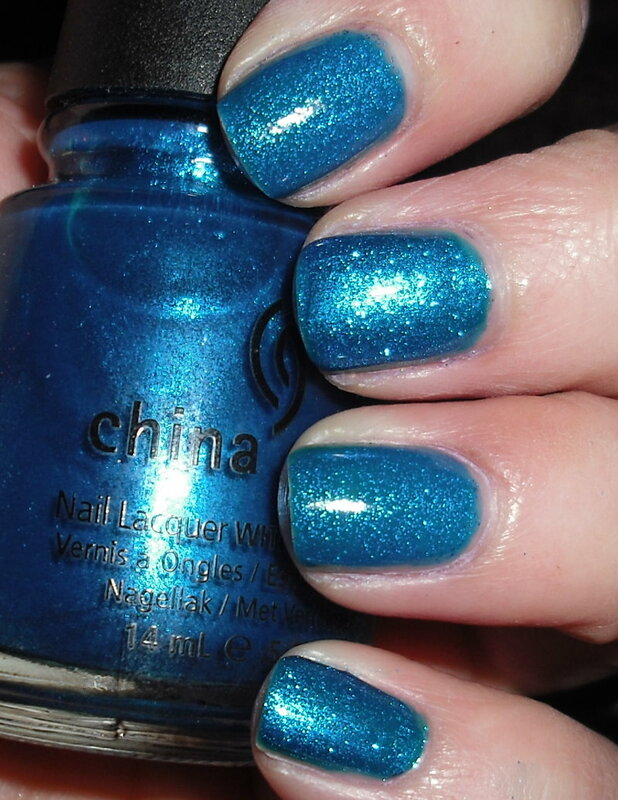 Blue Sparrow is a electric blue with light blue microglitter. I *almost" want to say this is jelly-like. This one definitely needs a top coat, because it dries matte. What I've noticed in reviews, people seem to either love or hate this one. I actually love it. It's a cheerful blue, with a unique micro glitter finish. Both of these blues are practically the same shade wise. They are both bright/electric blues. The difference between this is the finish. Blue Sparrow has a micro-glitter finish. The glitter particles Blue Sparrow are very apparent. Blue Iguana on the other hand, is more of micro-shimmer maybe even glass-fleck. The shimmer-like particles in this are very tightly compacted giving Blue Iguana almost a metallic-like finish, unlike Blue Sparrow. except for the glitters, they're the same! Wait, there are people who don't like Blue Sparrow? How? Why? Blue Sparrow was one of my first CG's too!! These photograph so similarly, but I know they don't look as much alike in person. I love the look of Blue Sparrow, but in my experience, it's horrible to work with and I rarely use it because of that. I love a blue shimmer!!! I like Blue Sparrow better! Blue Sparrow is one of my all time favorites. I just LOVE it. I haven't worn Blue Iguana yet, I think it's the last one from this summer's collection I haven't tried! Great comparison! :) I've heard people hate Blue Sparrow too. Not me! both of them are beautiful! maybe I slightly prefer Blue Iguana because of the micro-shimmer/glass fleck...!